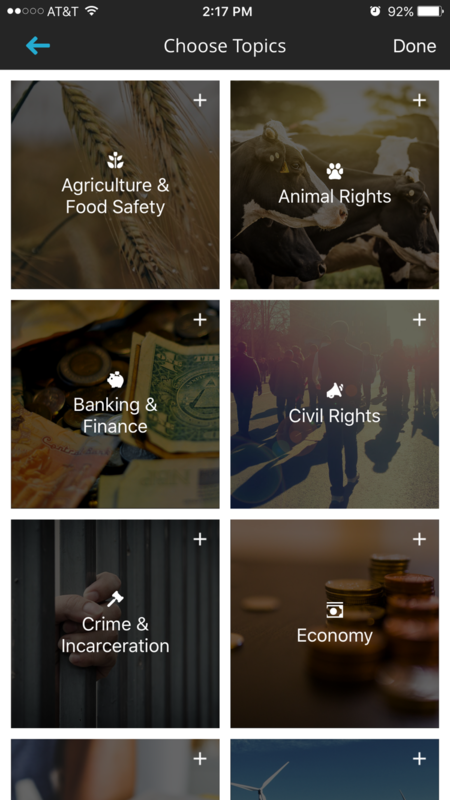 A mobile focused platform that brings civic engagement to your fingertips. 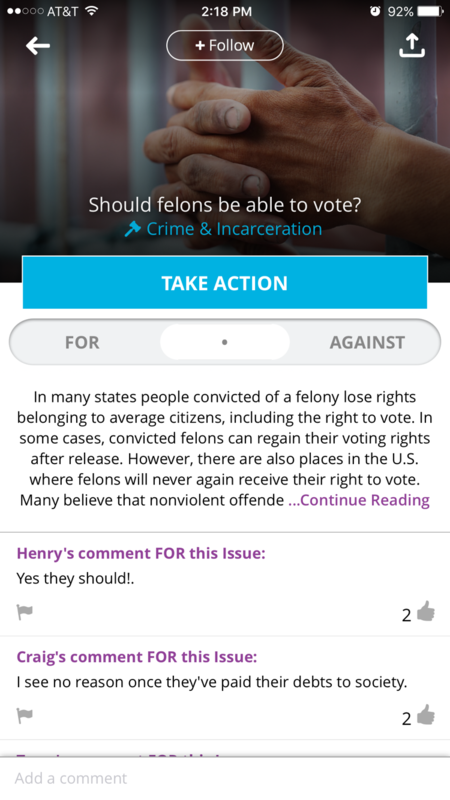 The objective of Hear My Voice was to create a civic engagement app that presented issues to users in a non-partisan way. 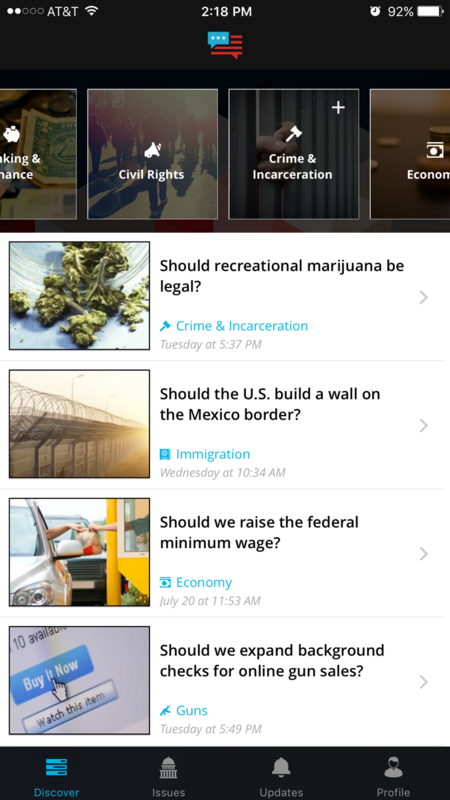 The app needed to clearly show both sides of a political issue and allow the user to decide where they stand. 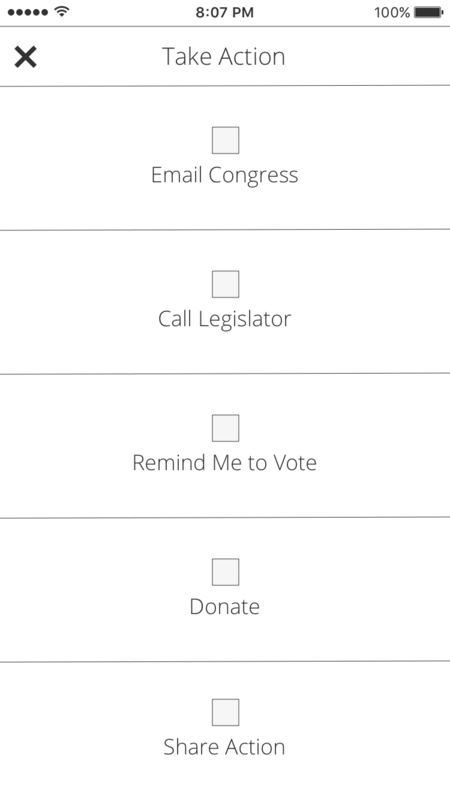 We also wanted to provide real ways for users to take action like registering to vote and easily contacting their representatives. From our beginning planning Sprints with the Hear My Voice team, we concluded there are four main actions a user can take. Discovering topics of interest, viewing issues within those topics, choosing a side, and taking action. 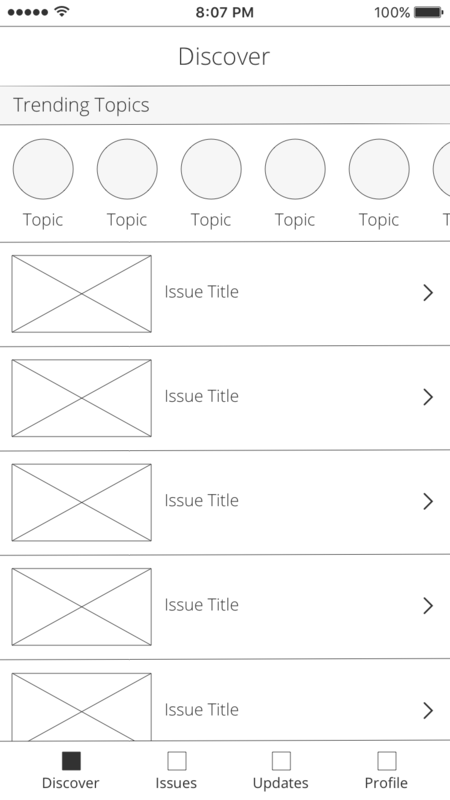 Users can easily discover topics and issues that are important to them. Issues can be viewed in more detail and easily supporting and opposing opinions. 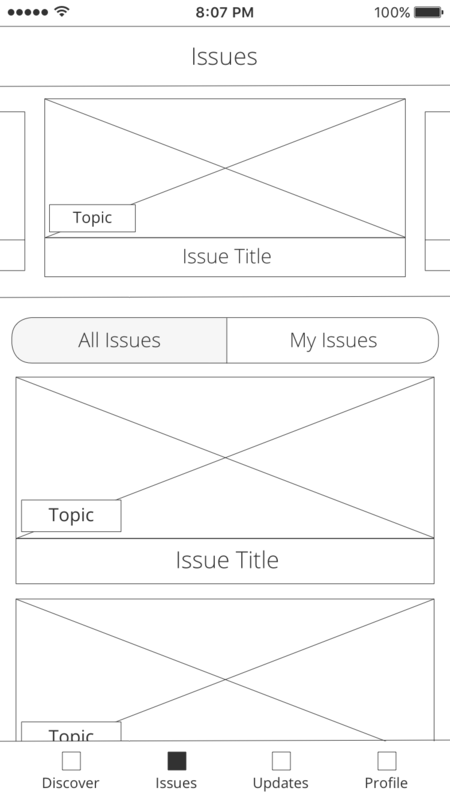 Users can choose a side and engage in a healthy discussion by commenting directly on the issue. 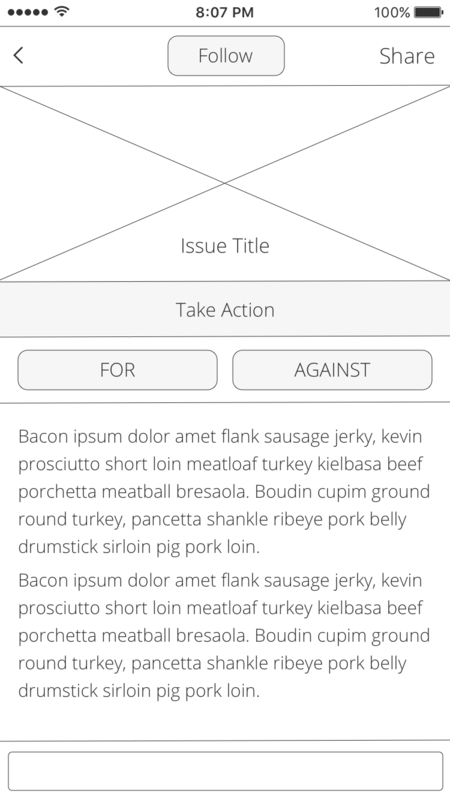 Taking action allows a user to easily contact their representatives through various channels. As a young person only recently sparking an interest in politics, I have to say that the non-biased information provided by Hear My Voice is a dream come true! You can download Hear My Voice for iOS, Android, or sign up online.